In our first blog looking at personal licence renewals we predicted a meltdown. Six months have now passed and there is at least a little good news. The Scottish Government reckons that around 25,000 licences are due to expire on 31 August 2019 - far short of the original estimate. We can now confirm that the Home Office will defer the introduction of right-to-work checks under the Immigration Act until after September. And it now seems extremely unlikely that Scottish Ministers will trigger a requirement to look at applicants’ spent convictions. That’s currently in legislative limbo pending the commencement of a provision in the Air Weapons and Licensing (Scotland) Act 2015. But now the bad news - and perhaps a ray of hope. Figures obtained by Scottish Licensed Trade News on 24 January are more than worrying. Across of sample of 12 Licensing Boards only 4 per cent of applications had been received. In Glasgow the percentage the shortfall stood at almost 98 per cent. There are now clear indications that the licensed trade could be facing a re-run of an earlier crisis. With the full commencement of the Licensing (Scotland) Act 2005 due to take place on 1 September 2009, around 17,000 personal licences required to be issued to allow premises to operated with premises managers. Figures obtained by the Scottish Beer & Pub Association indicated that, by 20 March 2009, 11,263 applications had been lodged, 7,683 granted but only 3,000 issued. The Scottish Government has repeatedly warned that the 31 August expiry date this year is set in stone. It will not be extended; and even where a renewal application is lodged by 31 May, a licence will still lapse if the Licensing Board is unable to process it timeously. Writing in Scottish Licensed Trade News, Ash Denham MSP, Community Safety Minister, made the position absolutely clear: “31 May 2019 is the absolute deadline to submit your renewal application but if you leave it late you risk losing your licence because the processing of your application may take three months or longer”. This approach has attracted widespread criticism. In other licensing regimes, a licence is parked in a safe place if a renewal application is lodged on time: it will continue in force until the application has been determined. 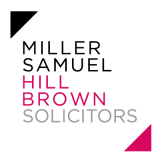 The closing date coincides with SLLP’s Big Licensing Conference supported by Miller Samuel Hill Brown. Fiona Stewart, Senior Solicitor at Aberdeenshire Council, who convenes the Society of Lawyers and Administrators, will give delegates a full update. For more information on the conference programme visit the SLLP website. Further blogs on this subject will follow.